“The Fallen” – The BAU travels to Santa Monica when burned bodies of homeless people begin showing up by the famous pier. Also, Rossi reconnects with his former Marine sergeant from Vietnam, on CRIMINAL MINDS, Wednesday, Nov. 14 (9:00-10:00 PM, ET/PT) on the CBS Television Network. Emmy Award-nominated actor Meshach Taylor (“Designing Women”) guest stars as Rossi’s former Marine sergeant, Harrison Scott. 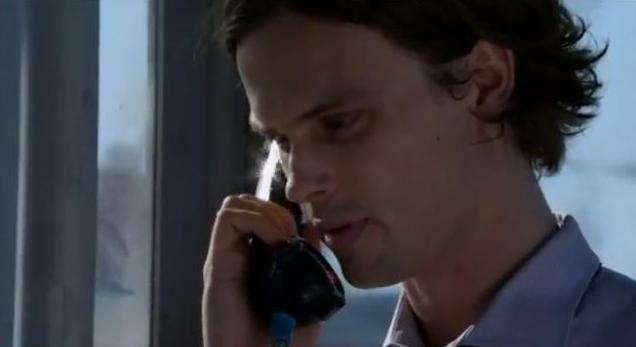 “God Complex” – When a legless body is found in the New Mexico desert and a second unwilling amputee shows up at the hospital, the BAU team searches for this amateur surgeon before he preys upon his next reluctant victim. Also, Reid’s phone calls to a mystery woman have the team intrigued, on CRIMINAL MINDS, Wednesday, Oct. 24 (9:00-10:00 PM, ET/PT) on the CBS Television Network. Ray Wise (“24,” “Twin Peaks”) guest stars as doctor John Nelson. 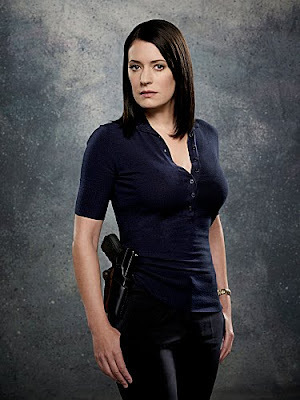 “The Apprenticeship” – When prostitutes in Miami are discovered murdered in a similar style to local animals found dead there, the BAU must work fast to find an UnSub whose confidence is quickly escalating. 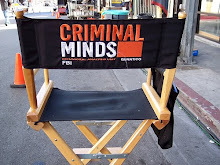 Also, Morgan tries to increase Reid’s athletic skills by convincing him to join the bureau softball team, on CRIMINAL MINDS, Wednesday, Nov. 7 (9:00-10:00 PM, ET/PT) on the CBS Television Network. Matthew Lillard (“Scream,” “Scooby-Doo”) guest stars as David Roy Turner. “The Good Earth” – When four men go missing in rural Oregon, the BAU searches for a common link among them in order to track them down. Also, JJ gets upset when her son Henry doesn’t want to celebrate Halloween this year, on CRIMINAL MINDS, Wednesday, Oct. 31 (9:00-10:00 PM, ET/PT) on the CBS Television Network. Anne Dudek (“House”) guest stars as farmer Emma Kerrigan. “Through the Looking Glass” – When one Kansas family turns up dead and another goes missing, the BAU looks for a link between the cases to find out who is behind the kidnappings and murders. Also, Hotch gets surprising news from Beth, on CRIMINAL MINDS, Wednesday, Oct. 17 (9:00-10:00 PM, ET/PT) on the CBS Television Network. The star-studded stage show and Nerdist podcast THE THRILLING ADVENTURE HOUR brings you a new graphic novel... and more! Created by TV writers Ben Acker and Ben Blacker, each live performance has featured three genre stories brought to life by The WorkJuice Players, a regular cast of multi-talented actors and comedians such as Paul F. Tompkins (Best Week Ever), Paget Brewster (Criminal Minds), Busy Philipps (Freaks & Geeks), James Urbaniak (Venture Bros), John DiMaggio (Futurama), and a parade of A-list guest stars such as Nathan Fillion, Patton Oswalt, Alison Brie, Jason Ritter, Neil Patrick Harris, Danny Pudi, Ed Helms, Zachary Levi, Chris Hardwick, Andy Richter, Patrick Warburton, Colin Hanks, Dave Foley, Adam Baldwin, Joshua Malina, Joe Mantegna, JK Simmons, and more! Help the team with their newest project on kickstarter.com. 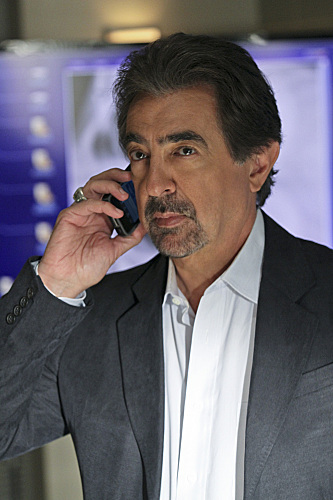 Joe Mantegna is one of the most widely respected actors in the world. A master and legend of stage, film, and television, the Golden Globe nominated, Emmy Award and Tony Award winner with a Star on the Walk of Fame, Joe Mantegna personifies—like the city of Chicago he hails from—toughness, hard work, no nonsense, and getting the job done. With film credits to his name including the classic thriller 'House of Games,' 'Godfather Part III' with Al Pacino, 'Suspect,' with Cher, 'Bugsy' with Warren Beatty, 'Forget Paris,' with Billy Crystal, 'Up Close and Personal' with Robert Redford, 'Celebrity' with Woody Alan, 'Body of Evidence' with Madonna, and much more, Joe Mantegna has worked opposite the greatest screen actors in the world, and is their equal. In television, he has starred in 'Joan of Arcadia,' 'The Starter Wife' which he also produced, 'The Simpsons' as the voice of the legendary 'Fat Tony,' and of course, 'Criminal Minds,' among many more—which, like 'The Simpson's,' is one of the most successful shows on television. On stage, Joe Mantegna has conquered Broadway, starring in 'Speed the Plow,' 'Glengarry Glen Ross' by his legendary play write friend David Mamet, and 'Hair' which launched his career, among many more. Read the whole article with pictures on thehollywoodsentinel.com. “The Pact” – When the bodies of two seemingly unrelated victims are found just hours apart in San Diego and Los Angeles respectively, the BAU suspects that that not one, but two killers are working together to commit these murders. “The Pact” – When the bodies of two seemingly unrelated victims are found just hours apart in San Diego and Los Angeles respectively, the BAU suspects that that not one, but two killers are working together to commit these murders, on CRIMINAL MINDS, Wednesday, Oct. 10 (9:00-10:00 PM, ET/PT) on the CBS Television Network. Guest stars include Mackenzie Phillips as Ellen Russel and Kim Wayans as Darlene Beckett, the relatives of other tragically killed victims. 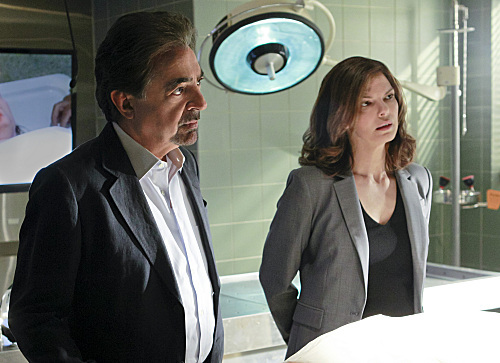 "The Pact" -- Rossi (Joe Mantegna) and Blake (Jeanne Tripplehorn) investigate when bodies of two seemingly unrelated victims are found just hours apart in San Diego and Los Angeles respectively, and the BAU suspects that that not one, but two killers are working together to commit these murders, on CRIMINAL MINDS, Wednesday, Oct. 10 (9:00-10:00 PM, ET/PT) on the CBS Television Network. Photo: Robert Voets/CBS ©2012 CBS Broadcasting, Inc. All Rights Reserved.